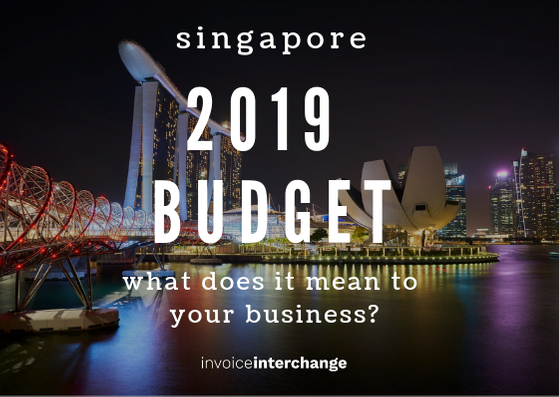 The Singapore Budget 2019 Statement was delivered by Singapore’s Finance Minister, Mr Heng Swee Keat, on 18 Feb 2019, in the Parliament. It highlights the goal of building a strong, united Singapore. The next phase of Singapore’s economic transformation will be strengthening Singapore’s position as a “Global-Asia Node of technology, innovation and enterprise” through innovation and technology enhancement through education with a strong financial support via SME working capital loan. Altogether, Singapore is expecting to spend $4.6 billion over the next three years on the new and enhanced economic capability-building measures, and to support Singaporean workers. From that, $3.6 billion will go towards helping our workers thrive in the industry and technological changes, and $1 billion will be helping firms build deep enterprise capabilities. In order to assist Start-ups and SMEs to develop and grow, the government has thus come up with a few programmes and schemes including SMEs working capital loan to support firms to gain experiences and funding. In the following part, we will be introducing the new schemes and programmes suitable for Start-ups and SMEs mentioned in the Singapore Budget 2019. Enterprise Singapore will launch a new programme, Scale-up SG. In this programme, the private and public sectors will partner up to help start-ups and smaller companies. Therefore, start-ups and the smaller companies will gain help to scale up and grow. This new programme is a two-year pilot programme that helps firms reach out to a pool of experienced industry professionals. These professionals acquires professional technology skills and business experiences. Hence, they will be able to give advice to the firms on innovation opportunities. Startup SG launched two years ago. Its aim is to provide a comprehensive support for start-ups and entrepreneurs. It supports a wide variety of ranges, from co-investments and proof-of-concept grants, to mentorship and physical space. In comparison to 80 deals in 2012, there are now over 220 venture capital deals per year in Singapore. Today, there are more than 150 global venture capital funds, incubators, and accelerators based in Singapore. All these support the local start-ups and those in the region. This year, the government has set aside an additional $100 million to establish the SME Co-Investment Fund III. This fund supports Singapore-based SMEs in scaling up and internationalising, with the objective of bringing active and patient growth capital. The existing financing schemes will be organised into only a single Enterprise Financing Scheme, that will cover namely: trade, working capital, fixed assets, venture debt, mergers and acquisitions, and project financing. This scheme will be launching in October 2019. Instead of 50% previously, the Government will now take up to 70% of the firm’s risk. It is applicable for most of the existing bank loans. The EFS provides a strong support for companies incorporated for less than five years. Therefore, it is targeting to give support to the younger companies. The current SME Working Capital Loan scheme will extend till March 2021. These schemes are helpful as, through unsecured working capital loans, it helps SMEs with their cash flow and financing needs. Hence, it encourages business growth and restructuring activities. The SME Working Capital Loan will be folded into the EFS which is expecting to launch in October 2019. Another working capital solution which is readily available in Singapore market is Alternative finance where SMEs can obtain funds from a non-traditional provider. Invoice finance is one of a great tool for support cash flow gaps. The application is simple and only need to draw down as and when ]eeded. The SMEs Go Digital Programme, announced at Budget 2017, aims to help SMEs use digital technologies, build strong digital capabilities and participate in the Digital Economy. Due to the practicality of the programme, the programme will be expanding. The expansion covers mainly two parts. Firstly, the Accountancy, Sea Transport, and Construction industries will get their own industry digital plan. This guides SMEs on the relevant digital technologies and skills training programmes suitable for their relevant industries. Also, there will be an expansion in the number and variety of cost-effective, pre-approved digital solutions that are supported under SMEs Go Digital. This boosts technology adoption among the SMEs. The Automation Support Package (ASP), introduced in Budget 2016, encourages companies to take up large-scale automation projects. Hence, it is aimed to help companies achieve productivity gains. The government wishes to continue supporting companies to automate and scale up as it is an important part of an improving economy. As a result, the ASP will extend to 31 March 2021. Centres of Innovation (COIs) supports SMEs with technology innovation. These centres allows the local SMEs and start-ups to have access to the laboratory facilities, consultancy services and training courses. It helps the firms in developing and testing technology products. In addition to the current COIs, two new COIs for aquaculture and energy, are set up in Temasek Polytechnic and Nanyang Technological University respectively. These schemes and programmes that are particularly made for Start-ups and SMEs helps them to grow in terms of scaling up, capital financing and technology. As a result, Singapore firms will be more capable to develop strong partnerships within the country and with other countries around the world.